A new international thriller by noted thriller writer Gary Grossman and global executive Ed Fuller. Terrorists bomb a hotel in Tokyo, but the reverberations are felt around the world. A high ranking Kremlin diplomat is assassinated. A building in Kiev blows up. Russia begins to amass forces along its western borders. Former Army intelligence officer Dan Reilly, now an international hotel executive with high level access to the CIA, believes the plot is much bigger than anyone imagines, involving the empire-building, Putin-esque president of Russia. Reilly begins a globe-hopping search for answers as the clock ticks down to a climactic event in Brussels that threatens NATO and the very security of member nations. 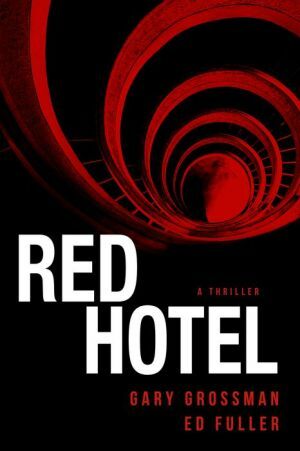 Red Hotel weaves his experiences into an incredibly timely globe-trotting thriller that’s fiction on the edge of reality.